As Google grew as a company and expanded its products and services, it was inevitable that it would begin targeting businesses and encouraging them to adopt the Internet giant’s application suite, known as Google Apps. For many businesses, this model makes a lot of sense, and the Google Apps platform has seen success. However, Google is not satisfied with just the business world. 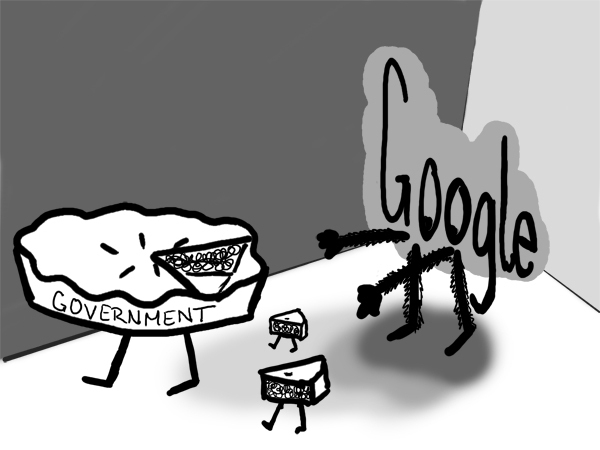 It wants a piece of (read: all of) the government pie as well. To that effect, Google spoke with the Department of the Interior (DOI) about replacing its 13 separate e-mail and computing platforms with a unified platform — built by Google, of course. After these conversations, the DOI issued a request for quotation (RFQ) and a supporting document called a Limited Source Justification (LSJ) for e-mail and collaboration services, specifying that Microsoft’s Business Productivity Online Suite-Federal (BPOS-Federal) be the only solution proposed. Normally, this would not be allowed in an RFQ, as it limits possible products. However, the DOI circumvented this restriction by doing market research and proving that, in its opinion, no other product on the market met all of the requirements for the proposal. In such a case, the LSJ describes this process and establishes that the specified source or sources are the only ones that will be considered. In this case, the LSJ specified only the BPOS-Federal software, and Google took issue with this. According to the lawsuit filed by Google, both the parent company — Google — and its licensed reseller — Onix Networking Corporation (a co-plaintiff on the lawsuit) — filed the appropriate protests concerning the RFQ, as well as a second licensed reseller who does not appear on the lawsuit. In the suit, Google provides a significant amount of background information and accuses the DOI of violating the Competition in Contracting Act in submitting the RFQ with the LSJ. This is the act that normally forces RFQs not to specify a product. At first, it may seem that Google’s lawsuit is on weak legal ground. After all, according to the lawsuit, the DOI designated the BPOS-Federal software as “the official standard for messaging and collaboration services,” effective July 15. However, the LSJ attests that the source determination was made in accordance with the department’s internal information technology standardization manual. Upon further inspection of the supporting documents, more inconsistencies arise. For example, the DOI requests that the proposed solution complies with the Federal Information Systems Management Act. However, BPOS-Federal does not comply with this requirement — but Google Apps does. In addition, Google attests that it proved that Google Apps meets the requirements for the RFQ. In fact, the DOI stated that Google Apps was not out of the running and would be given a fair shake in the procurement process. Obviously, this was not the case, as the DOI excluded Google Apps during the procurement process by requiring BPOS-Federal software. It is unclear whether Google Apps is the best solution to the DOI’s request for comment, but that is largely inconsequential in this case. Rather, the important details are that the DOI eliminated Google Apps without proper consideration in the contract, effectively pre-selecting Microsoft’s software suite despite its provable inferiorities to Google’s offering. Such an action is not only illegal, but also bad for the government and for taxpayers. If the DOI is found guilty, it calls into question the selection process for every government contract with a Limited Source Justification. Isaac Jones (ijones@) is Comics editor for The Tartan and a former government employee.